Producing conferences across the globe since 1981, we invite you to join us for the unmatched experience of meeting world-renowned experts face to face. Only in this dynamic marketplace can you interact on a personal level with top market gurus, leading financial services companies, and elite financial media partners. Below, you will find more details about the different types of shows available and what each offers. Please take a look to find which is most appealing to you. All are free to attend, and registration is simple. 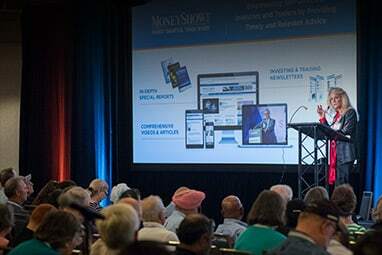 At MoneyShow we have been producing conferences across the globe since 1981; we invite you to join us for the unmatched experience of meeting world-renowned experts face to face. 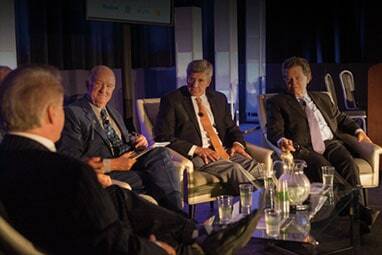 Only in these dynamic events can you interact on a personal level with top market gurus, leading financial services companies, and elite financial media partners. Our trade shows offer a unique and rich breadth of financial insight, advice, and knowledge. 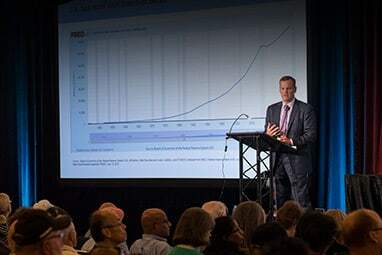 Each seminar grants access to current stock market trends, strategies, and perspectives, as well as actionable portfolio-management expertise. The quality of content these trade shows and exhibits deliver is unsurpassed in the financial exhibition industry and offer you the leading edge in the days to come. These conferences deliver a multitude of education in panel discussions, master classes, and expert presentations. During these events, attendees can participate in market-specific activities at the exhibit hall and in classes. The conference format offers the chance for participants to customize their attendance to make the most of their conference experience. Each trade show offers an exhibit hall delivering the latest products and services in each specific industry. In the exhibit hall you can comparison shop among many trade show booths, try out the latest software, and meet personally with top-performing advisers, newsletter editors, service providers, and representatives from many of the public companies you already know. Plus, get expert portfolio strategies and techniques during 30-minute "Bull Pen" presentations. 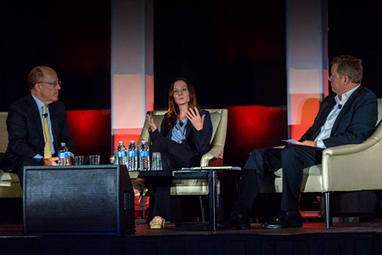 These conferences feature a grand opening of the interactive exhibit hall, with a networking cocktail reception, as the trade show opens to the public. Attendees can join the reception and meet speakers, exhibitors, as well as fellow investors and traders. Stimulating conversations take place between members of the group in a casual and relaxed setting, while enjoying complimentary drinks. The following days are filled with an array of symposiums focused on market verticals and other specific topics. The atmosphere of our conferences inspires networking and building relations among the financial professionals and individual investors and traders who participate. If you would like to know more about a specific trade show schedule, please click on a conference that interests you. 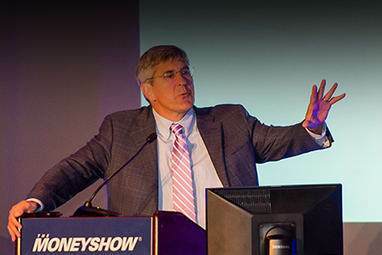 MoneyShow's network of experts and attendee audience rapidly grows every year. This unique sphere of influence is key to empowering investors and traders alike. As the stock market is ever-changing, keeping up to date in a face-to-face setting can be a pivotal experience. MoneyShow's conferences offer rare opportunities for all looking to further their financial awareness and education. To offer more insight on how our conferences are structured we offer two main types. Investing trade shows are named MoneyShow and focus on long-term investment topics and verticals. Our day trading exhibits are called TradersEXPO and focus on the day-to-day aspects of various markets. 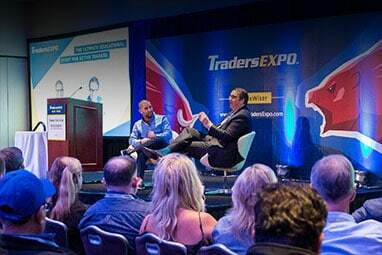 Often, if not all the time, you will find a mix of both investor and day trader attendees at any given show, though the topics remain focused on the show theme. Each of our events are free to attend and are ultimately geared to educate and offer actionable financial knowledge, advice, insight, and strategies. The scheduled panels discussions, presentations, and classes are orchestrated by event programmers to offer the best mix of content in a manner that allows participants to get the most out of their time during the event. 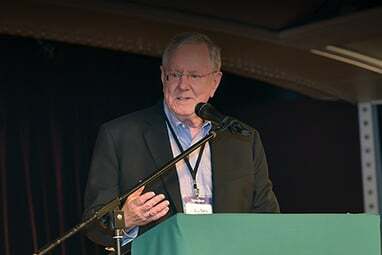 Attend our conferences and gain comprehensive advice from a gathering of the greatest financial minds and experts. Whether you are new or advanced in investing or trading, our conferences offer a multitude of insight and knowledge that can be applied at all levels. Connect with fellow market enthusiasts, market experts, financial industry leaders, and service providers on our trade show floors. These exhibits offer the actionable knowledge you need to accelerate your financial goals in the days ahead. Expand your investing and trading horizons by listening to leading economists, renowned market strategists, and top-performing portfolio managers who will share their insights into current market conditions. The keynote speakers of our trade shows give future economic projections and detail the best investment and trading opportunities ahead. 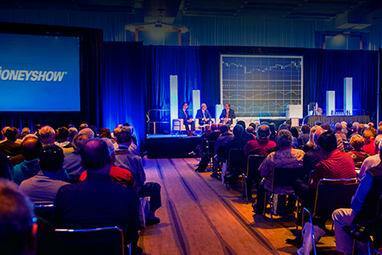 Only at The MoneyShow’s trade shows will you find such a gathering of financial experts, all in one place! Our exhibits offer the opportunity to discover which sectors of the market are worth a closer look, and which ones deserve a pass. Experts reveal the assets or securities that are at the top of their buy lists or are in their portfolios. You want to be poised for strong upside gains while protecting your portfolio against inevitable market corrections. 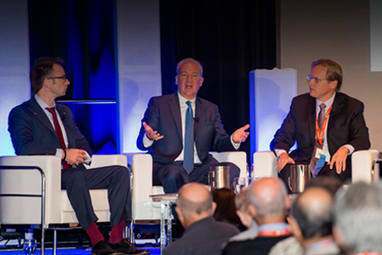 MoneyShow conferences offer unique specific recommendations to identify the most profitable opportunities. 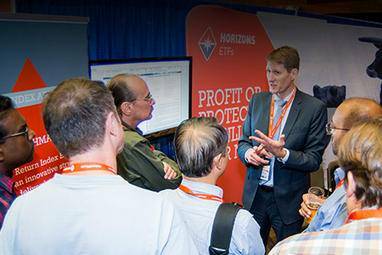 Our trade shows and exhibit halls offer some of the best strategies for stock picking, capital preservation, and asset allocation. Majority of MoneyShow conferences are held at hotels rather than convention centers, bringing a more elegant and convenient atmosphere. The guest rooms of these hotels offer an inviting respite from all the excitement with the convenience of being just an elevator ride away from your room, thus removing the hassles of traffic and parking. We invite you to join us at a trade show, experience the exhibit hall, and see why we are America’s largest and most successful trading and investment conference producers in the trade show industry!